Forgive me readers for it’s been more than two months since my last post. I’ve been away gathering experiences and stories to keep you all entertained… Oh, well. I guess it happens more often than not. 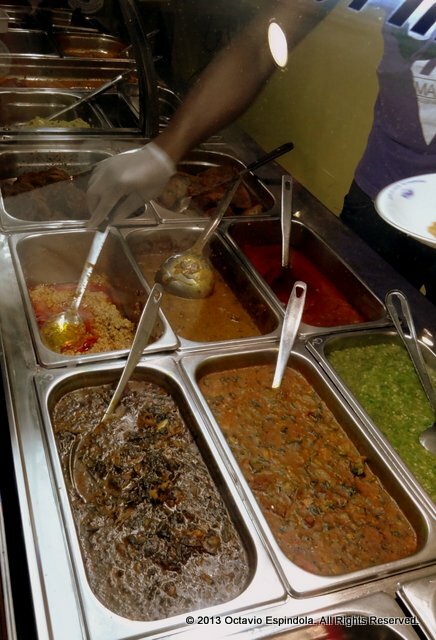 Some time ago, on my post “Kontomire Stew”, I said there was not a single restaurant in Dubai that served West African food. Well, I was wrong! 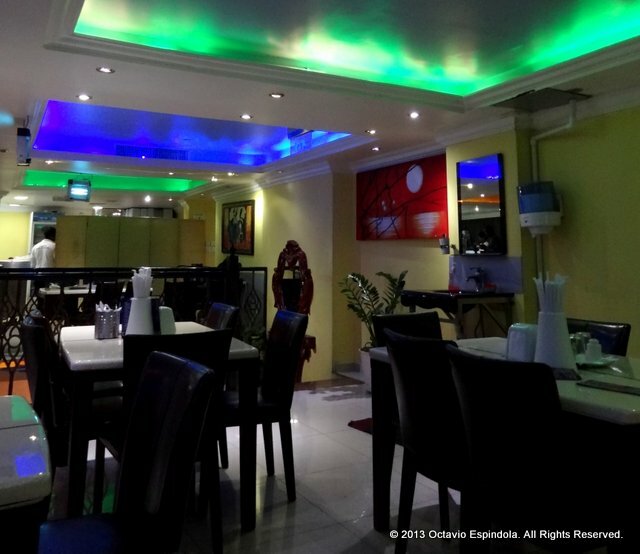 I found not one, but two restaurants that feature West African cuisine: Africana Home for Nigerian and another in the Miami Hotel in Deira for Senegalese. So, my apologies for having been misleading. It must have been around 21:00 hr and the weather was really nice, so Lucas and I headed to the metro station. We got on in GGCO station and 15 or 20 minutes later we got off at Palm Deira station, walked a few meters to the bridge-like pedestrian crossing, over the Khaleej Road and made it to the Gold Land Building. All I knew, was that the restaurant was located “behind the GL Bldg”, so it was only a matter of going around it. As usual, it didn’t turn out to be so easy: there is more than one back street and millions of eateries and shops. The trick is to walk left on Al Daghaya street until you see the restaurant’s signboard. There were a few Nigerian guys seated at a table of what looked nothing like a restaurant. Nonetheless, we entered and asked for a table. The guy at the door looked a bit confused with our request, but he leaded us upstairs where he introduced us to another very friendly guy (although I can’t remember his name, I’m pretty sure he was Abdullah so I’ll just call him that) that explain us “how it worked”. It is self-service, so one has to go to a buffet counter where all the dishes are displayed, choose, pay, sit and enjoy. Since we had no idea what the dishes were, Abdullah told us he would put a little bit of each dish on the plates so we could try everything, and so we did. 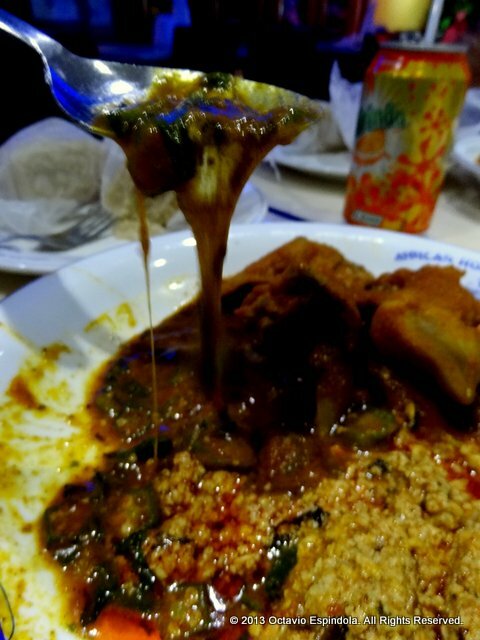 Garri, Fried Plantain, Goat meat, mixed Okro Soup and, my favorite, Egusi. The overall experience was very nice. Different, if nothing else. The place is…well, it is clean. We were the only customers seating at a table, everyone else seemed to order takeaway. The staff was not the friendliest (except for Abdullah, he was really nice and enthusiastic), but the interaction with them was kept to a minimum. 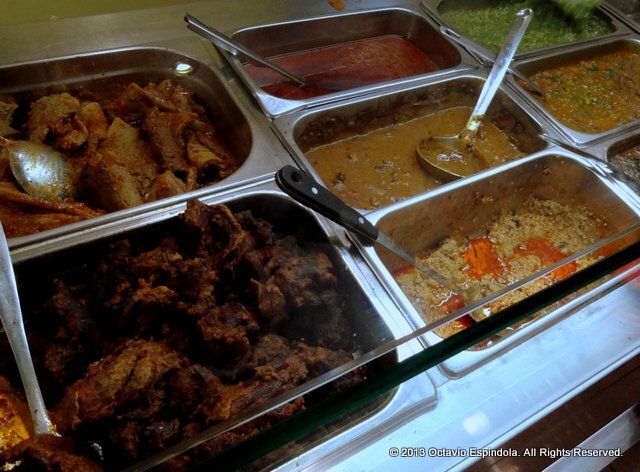 With regards to the food, maybe for a Nigerian food connoisseur it is crap, but it is really hard to tell. I mean, could it have been better? Probably, after all it was heated in a microwave and god knows how long it had been seating there for. For me it did just fine, though. I’m not a connoisseur and I don’t have references to compare it to. 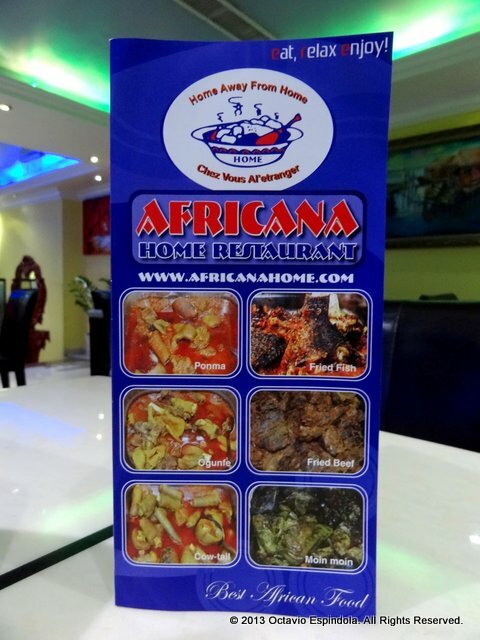 Much to my surprise, Africana Home has three branches (all in Deira) offering mainly Nigerian food as well as Ghanaian, Cameron, Kenyan, Liberian and Ugandan, and a very nice website www.africanahome.ae. They even have home delivery in Deira and around. I would recommend it for anyone curious enough. You will definitely have a different experience and a good share of fun. Have you been to such a place lately? I actually also tried out a Nigerian restaurant in dubai last November. 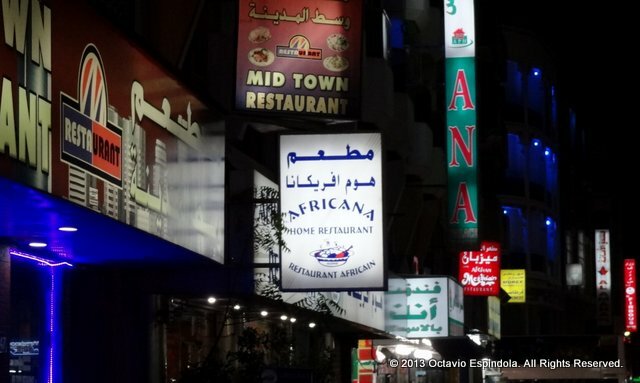 Can’t really recall the name but seems as if it was the same Africana located somewhere in Deira. Thanks for your detailed description, really helpful for my next visit to dubai. Yeah Thanks. so how much does a meal cost? How do i locate this restaurant from Al Murar. Whats the distance? This is an interesting and very honest review, Octavio. Thanks for taking the time to read it. I’m glad you found it interesting.